In episode 2 of the Education Empowered Podcast, we’re joined by Jake Hornsby, Chief Information Officer at Cal State East Bay. 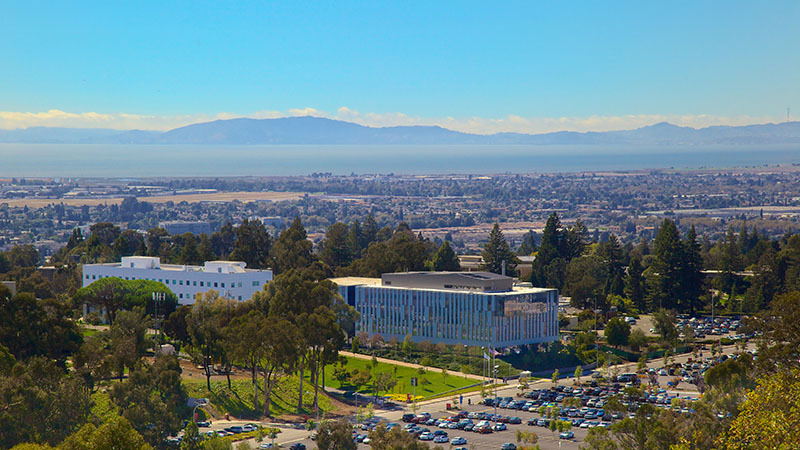 As one of the most diverse schools in the nation, Cal State East Bay is an incredible example of an institution that is not only making an impact within the local community but also blazing new trails with AI in higher ed. From an Einstein Bots hackathon on campus to a discussion on the impact of AI on students – this is a fun and informative episode that dives into the importance of building a community of AI innovators across higher ed. You’ll hear hosts Jason Belland and Haley Gould chat with Jake about the role of AI in improving the student experience, tips for getting started with Einstein, top learnings that came out of the hackathon event, and Jason’s potential future as a T-shirt designer. Make sure to listen to the full episode with Cal State East Bay and be on the lookout for even more from our series on AI and intelligence. If you missed our previous episode with Taylor University, be sure to check it out. In the meantime, check out a few takeaways from our conversation with Jake Hornsby below. 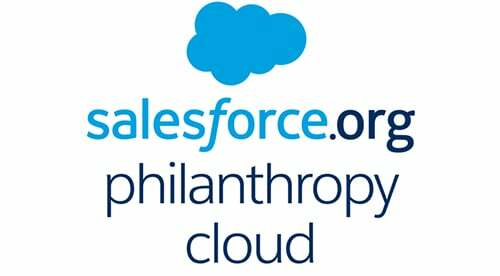 Like all new technology, having a community to innovate and collaborate with is key – especially in higher ed. Instead of working in a silo, Jake built a community of AI innovators from the ground up by hosting the first ever Einstein Bots hackathon at Cal State East Bay. 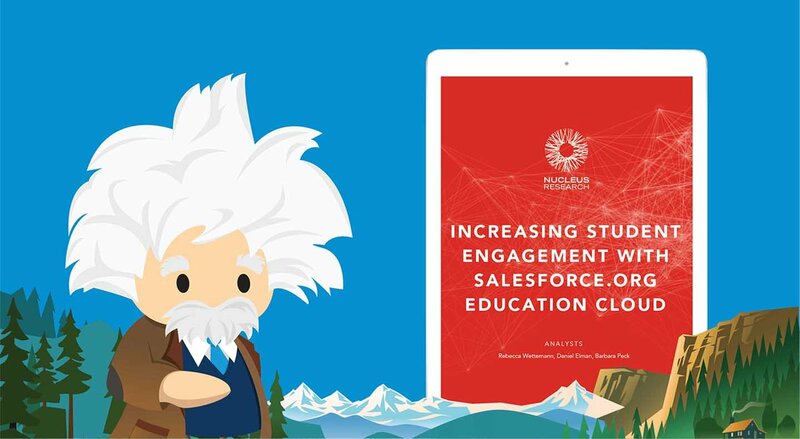 Faculty members, students, administrators and other local institutions came together to talk about common use cases and collaboratively build automated student communication journeys with Einstein Bots. “Every team had their own bot with its own name. At the end of the day we had each of the teams present to the group and we gave out awards. It worked out really well and was a great way to bring the community together.” Jake says. In terms of next steps, Jake and his team are consolidating the work from the hackathon event and plan to share the resources with the community to help other campuses on their AI journey. And student data plays an essential role in that transformation, especially with AI. Jake speaks to the importance of getting as much student data in front of the Cal State East Bay staff as possible so that they can really know each student and create a tailored experience. Leveraging data from previous students can also help to identify ways to make current students more successful. 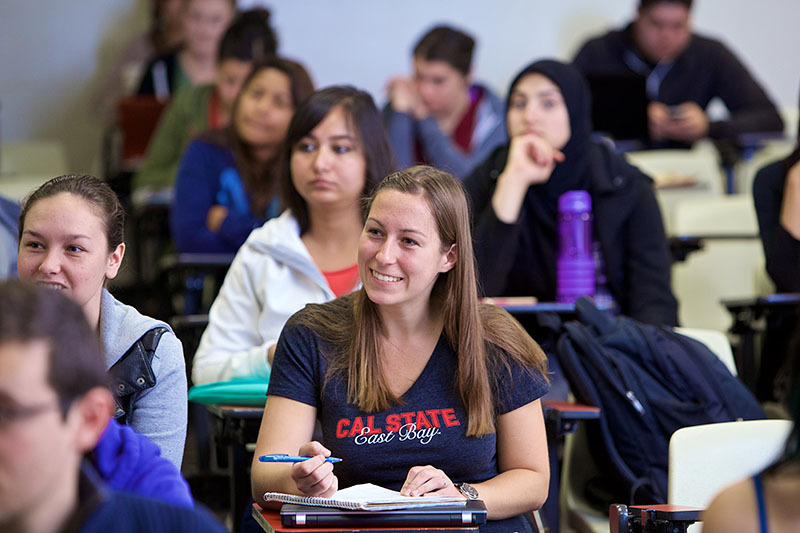 Listen to the full recording with Cal State East Bay today.